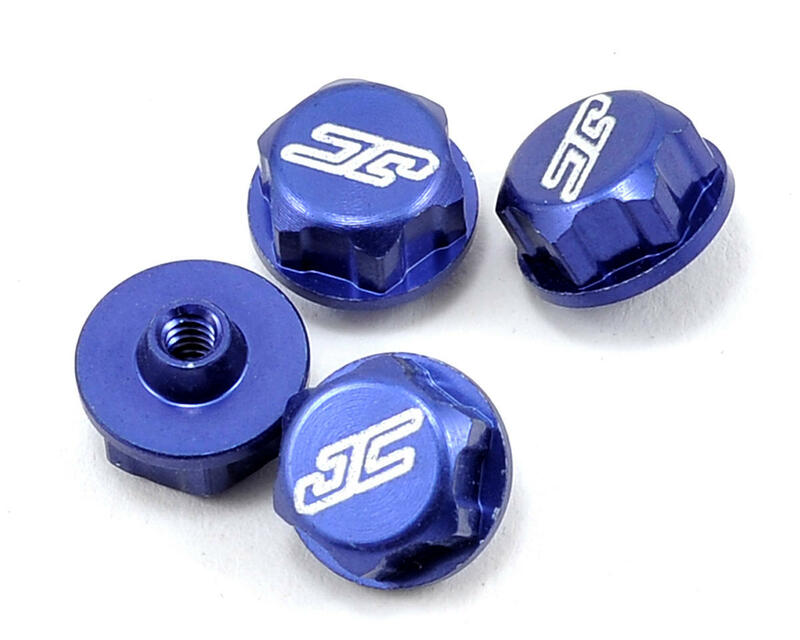 This is a pack of four JConcepts Blue Battery Hold Down Nuts, and are intended for use with the Team Associated 1/10 scale line of vehicles, as well as the Team Losi Racing 1/10 scale vehicles equipped with a JConcepts battery brace. Securely holding down the battery brace is crucial to the daily activity at any racing or practice circuit. 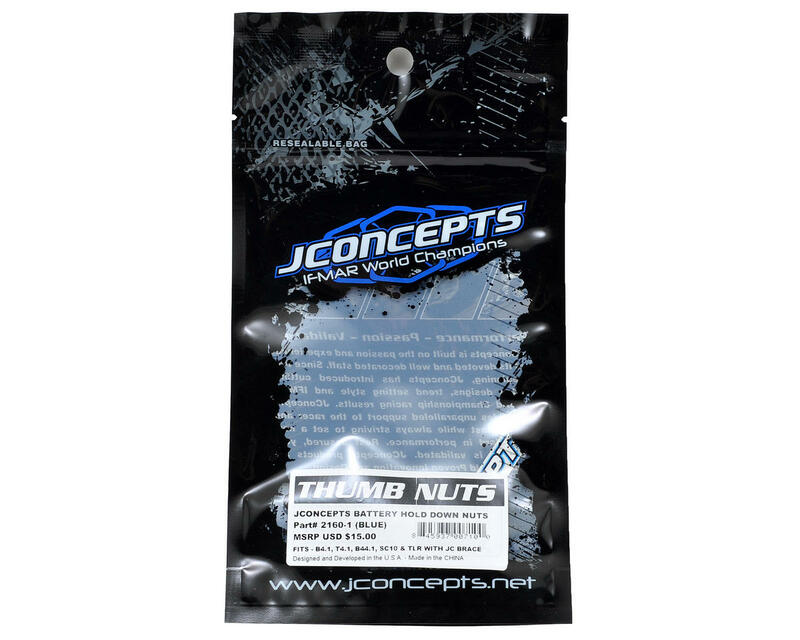 Quickly performing routine maintenance or battery changes is now easier and more secure than ever with the introduction of the JConcepts thumb/wrench nuts. Starting with an alignment friendly cone shape that eases the nut into position, the nut has a larger flange which perfectly matches the proportions of the “Monroe” battery brace and a hex shape which allows a user to use either an 11/32” nut driver or the conventional hand-tightening method. The nut is finished off with a closed-end design which features an etched JC logo for authenticity and brand loyalty. Nice bling look great. I use finger to tighten but son used wheel wrench to really bare down.